Hear interview with Banco De Gaia in Echoes Podcast. Banco de Gaia fired one of the first shots of ethno-techno sounds into the previously electronic dominated rave culture of the early 1990s. Since then, he’s built a body of work by sampling the body’s of work from other musicians as well as sounds from the world. There was always an element of musique concrète to Banco de Gaias’s approach and now, Toby Marks, the man behind Banco de Gaia, actually has a Masters Degree in electro-acoustic music. But Marks has always been a master of sound. 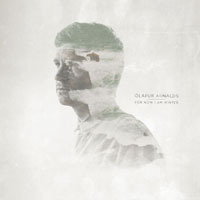 I talked to him about his new CD, Apollo and the art of sound bending in the Echoes Podcast. 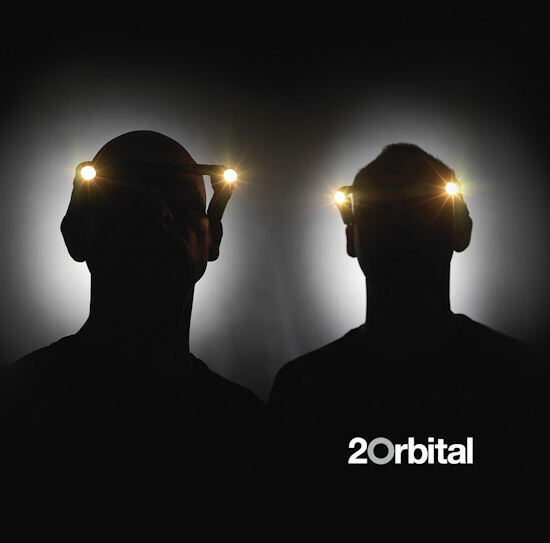 After supposedly calling it quits back in 2004 with the release of Blue Album, the U.K. electronica duo, Orbital are on the verge of completing the inevitable comeback they began back in 2008. A new album, Wonky, is set for April and they’ve already released a teaser single, a light, effervescent bit of alka-synth-pop called, appropriately, “Never.” Orbital was one of the first groups to emerge out of techno with a sense of melody and a sense of humor. Snivilisation remains one of my favorite electronic albums. The 1994 release has been in my iPod since I had one. Here’s a video for “Never” that drives home the already obvious link to Kraftwerk‘s “Autobahn.” And there’s a link for a free download. There are DJ’s, beatboxers and techno-wizards and then, there is Beardyman. For 38 minutes of pure unalloyed joy, watch him in this video and keep in mind, it’s all live. I’ve seen some great Kaos Pad performances by Ulrich Schnauss and Jon Hopkins, but for pure kinetic energy, this one is unreal. You have to sit through an opening rap, but then, Get Happy! Thanks to Charlie North for the pointer on Facebook. It’s been ten years since Moby put out his multi-platinum selling album, Play. it became ubiquitous in films, TV, and commercials. You’ll hear echoes of Play in Moby’s new album, Wait for Me, a song cycle of personal reflection and heart-tugging moods. Like the old field recordings he used on Play , its sound is dusty, scratchy and has an antique techno veneer. But even though he uses little vocal sampling, he writes his lyrics as if he was cutting and pasting vocals off old 78s. Moby: I listen to a lot of very, very old music, And one of the things that I love about old blues and some old gospel music is how plaintive and repetitive they can be. And I guess because I listen to so much old African-American music, it kind of makes sense that when I would write my own vocals and my own lyrics that they’d be inspired by that. Moby: What’s expressed in that idea, “Wait for Me,” is a degree of vulnerability and longing. there is a spiritual connotation to it, which is that idea of like saying to God or to whomever, like I clearly have no idea what’s going on. I don’t know what I’m doing, just have a little patience with me. Wait for Me, is a deeply personal album, far removed from Moby’s techno dance origins. Moby: Wait for Me is made by me in a very almost monastic way in my studio by myself late at night. And it’s really designed for one listener. It’s not designed for a party, it’s not designed for 20 people in a bar or night club to listen to. It’s for someone lying in bed Sunday morning at 9 o’clock when it’s raining outside. Moby said he wanted to make a personal album, and he did, but it also speaks to universal yearning. Wait for Me is out now on Mute Records. It’s the Echoes July CD of the Month and I’ll have a more extended interview with Moby about it on Monday’s Echoes. 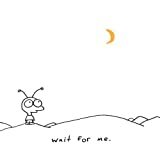 You can read a full review of Moby’s Wait for Me here. You can hear an audio podcast of this past week’s Moby Profile, here. In the days when electronic music was the province of dweeby men in white lab coats, pocket protectors and skinny ties, Delia Derbyshire was among the few woman twiddling knobs and slicing tape at the BBC’s Radiophonic Workshop. This is so ancient it was even before the Beatles hit. Among her many works were the electronics for the original Doctor Who Theme. Derbyshire died in 2001, but a treasure trove of reel-to-reel tapes she recorded has just been discovered. There’s a nice article on the BBC site called Lost tapes of the Dr Who composer with several sound clips of her work and some nice quotes from Orbital’s Paul Hartnoll, who sampled the Doctor Who Theme on “Doctor? from The Altogether. I’ve always found the Radiophonic materiel a little quaint and dated, even at the time, but their influence was profound for most British electronic musicians of a certain age. Thanks to bpmf from the IDM list for the pointer.